Now you have successfully created your Blog and ready to start posting your articles, but hold that thought, there are some things you must do on your blog before you start posting your articles. Pay attention because these are very important things that if you don’t do, you would miss out for at least the first month of blogging. 1. Notify Search Engines About Your New Blog: This is one of the most important thing you should do after designing your blog. While most bloggers ignore this and just wait for search engine bloggers to come crawl their blog at its convenience, it would give you an edge and more traffic if after creating your blog you invite search engines crawlers to it. 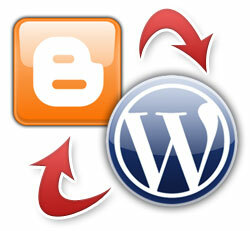 This would also automatically get your future posts get indexed faster by search engines. There are many search engines out there on the web some you don’t even know, but follow this link to invite the two most popular search engines on the web. 2. Create Your Presence on Social Networks: Its no news that social networks, are the next best thing that happened to the internet after blogging. Why? Because I believe 80% of the people that use the internet are on one social Networks or the other, therefore if your blog is present on social networks, people know about it faster and you start getting traffic from there. Millions of social networks are out there, but are make use of the Top four Social Networks. I also recommend you create a profile on each of them. After doing this, your blog is ready to go live, you can start posting immediately. After your First twenty post, you can then apply for Google Adsense, if you are not a new blogger and already have an Adsense account, You should learn how to prevent invalid clicking on your blog. Previous ItemWindows 8 vs classic PC games: Who will win in this modern era of gaming?